Asbestos is a term for a group of six naturally occurring mineral fibres belonging to two groups. All forms of asbestos are highly toxic and carcinogenic to humans. 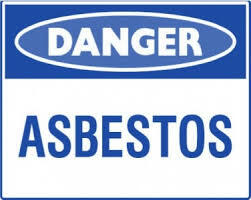 Exposure to asbestos can cause cancer of the lung, larynx and ovary mesothelioma (a cancer of the pleural and peritoneal linings) and asbestosis (fibrosis of the lungs).Asbestos has been used in a wide number of products due to its flexibility, tensile strength, insulation, chemical inertness and affordability. Some countries regard products to be “asbestos free” if they contain asbestos below a certain level. AUSTRALIA HAS A ZERO TOLERANCE LEVEL for asbestos levels within manufactured goods. It is the responsibility of importers and exporters to ensure they do not import or export prohibited goods that contain asbestos. The Australian Border Force must be assured that no asbestos is present in goods at the time of import or export. For more information on asbestos in imports, please kindly head to the Australian Border Force website. Alternatively, please contact Phil Gray, EES Customs Manager or David Gibson, Customs Broker.